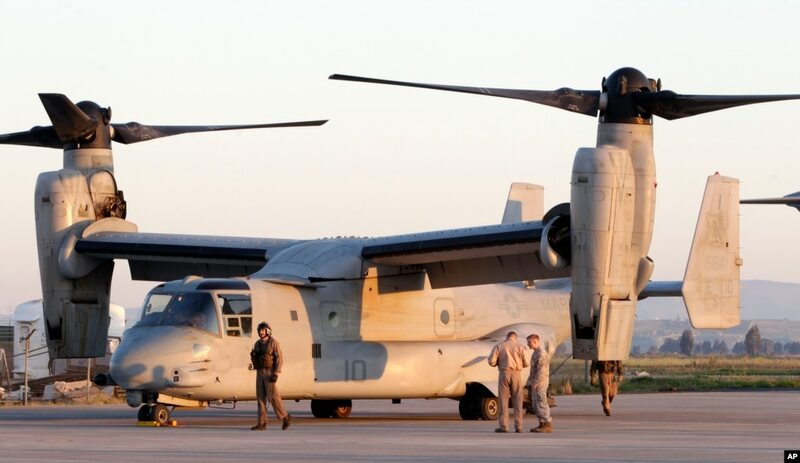 FILE - U.S. Marine officers work next to an MV-22 Osprey VTOL aircraft at the Sigonella airbase, Sicily, March 24, 2011. The Pentagon is looking for a new generation of such planes. For a long time, the U.S. military has wanted a robust transport aircraft that can take off and land like a helicopter, but fly faster, like an airplane. One such aircraft, Boeing's MV-22 Osprey, has been in use since 2007, but critics say its development was costly and it is not fast enough. So the Pentagon is looking for a new generation of vertical takeoff and landing (VTOL) planes. The Defense Advanced Projects Agency (DARPA) issued a competition challenge for aircraft of innovative design built with lighter and cheaper materials. One of them, from Aurora Flight Sciences, comes with three generators and 24 electric engines. 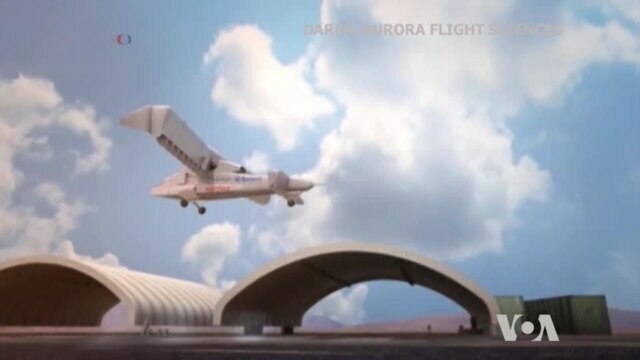 Aurora engineer Dan Cottrell said gas-powered generators will provide electricity for electric turbofans. Other concepts envision fewer engines but, according to DARPA, all have to meet four basic requirements: to be able to take off and land vertically, carry large payload, be maneuverable like a helicopter and, when in plane mode, fly at speed greater than 300 knots (555 kilometers per hour). None of the planes has been built at full size yet, but tests with small-scale models show that these groundbreaking designs just might work. The first competition, to see how they fly, is scheduled for 2018.